Recently a survey was performed by the Consumer Federation of America (CFA) that identified the top ten roofing client complaints. A large majority of the complaints were based on the roofing company having bad operation standards and failing to start or complete the job. In addition, National Magazine conducted an exclusive survey that ended up having astonishing results. Believe it or not, 50% of the people surveyed would not recommend the roofing company they used to a friend. When picking out a roofing company, make sure they can supply you with all the following things. First off, make sure they are a licensed company. Far too many times in the roofing industry, companies are not licensed end up hurting themselves on site and suing the customer! The bad part is that unlicensed companies are unlikely to be carrying the proper insurance, so it all falls back on you if anyone gets hurt (they could actually win the lawsuit). Generally speaking, any roofing company that's listed with the Better Business Bureau and has good reviews is likely to be your best bet. If a roofing company is not affiliated with any associations, there's a good chance that they are unlicensed, uninsured or just plain inexperienced. Another great place to look for an experienced roofing company is your local chamber of commerce. The company you end up hiring should be knowledgeable about the many diverse products and options that are available for your home. After all, do you really want a company that you're not comfortable with working on your biggest investment? Keep in mind that the sales person you spoke with over the phone might be nice, but what about the problem that you're actually going to be dealing with? Make sure to voice any questions, comments, or concerns that you might have while speaking to the roofing company on your initial phone call. So who can you trust to take care of your roof? Well, luckily the majority of companies are going to be safe, but once again make sure they provide you with a valid license. The most important thing is making sure your roof is safe and secured using only the best materials available. You may end up paying extra for high quality service, but I think we both agree that you want your roof to last a long time. Good luck getting your new roof installed. Any roofing company you hire, whether for new roofing, roofing repairs or roofing restoration, must carry insurance. First and foremost is liability insurance, which protects your property in the event it is damaged by the contractor or his employees. Any roofing company you're considering must also carry worker's compensation insurance. This insurance will protect you should one of the roofing company or one of their workers gets injured on your property. If they don't have it you may be liable. Make sure you ask any roofing contractors for proof of insurance before signing a contract or allowing work to begin. A good roofing company will expect to show proof of insurance to potential clients. In order to protect yourself any roofing company you hire should be licensed. Anyone can come in and claim to be an expert, but without a license you could potentially expose yourself to financial harm. If an injury or property damage occurs during work with an unlicensed roofing contractor, the Contractors Board cannot assist you with resolution to a complaint against that contractor. Hiring a licensed roofing company also ensures a degree of quality in that it gives you the assurance that the contractor has met the qualifications required by your state. States usually have high standards for professional roofing companies, which contractors must meet before being licensed. Most roof materials have a guarantee, but your roofing company should too. The work done by a roofing contractor, including roofing repairs and roof restoration, should be guaranteed for at least a year. Make sure the guarantee is in writing and that it includes a guarantee against leaks, defective materials, and defective workmanship. It should also detail what will be done to rectify any situation where the guarantee is not met. You should ask for a signed contract from even the most reliable roofing contractors. In the contract they should specify everything from cost and payment to schedule and completion date. Make sure the project cost, including a reasonable deposit request, is in writing. And payment schedule and/or due date or timeline should also be in writing. An important item to include in the contract is roof materials and what brand specifically you have agreed upon that will be used. The contract from your roofing contractor should also include details such as cleanup during and after the project and what happens if anything unexpected occurs during the course of the project or how any change requests are handled. http://www.AsktheBuilder.com host Tim Carter shares an easy way to keep your roof shingles free from moss, algae and mildew. With the natural wonders of copper, you'll never have to clean green scum off your roof. New roofs can have common errors that lead to destruction of your roof and problems on the inside of your home. Check this video to see what errors are often made by roofing contractors. If you are a homeowner, you know how important home maintenance is. Your house is your biggest investment, and if you don't take care of it, you will soon find yourself confronted with run-down property and costly repairs. Home maintenance includes tasks such as cutting the grass, pulling weeds and cleaning the gutters, but it is how you take care of your roof that has the biggest impact on your home's overall quality. Your home's roof is one of its most important assets. It takes a beating from Mother Nature season after season, and it protects your home from costly problems such as rotting, rust, leakage, flooding and drainage. Most basic roof maintenance projects can be done by the average homeowner. However, if your roof has bigger problems, you're better off contacting professional roofing repair contractors. But how do you know which roofing repair contractors are best suited for the job? Follow our tips below to make sure you find professionals who will take excellent care of your home's most important asset. It's up to you to do your research and weed out the quality companies from those that are just looking to make a buck. Proper licensing and insurance. Without these, you may become liable if on-the-job accidents occur. Any quality contractors will be able to produce these documents upon request. Significant experience. Because your roof is such an important part of your home, you don't want to entrust its repair - or replacement - to a company that doesn't have much experience. Check to see how long each company has been in business to get a good idea of how much experience its roofing contractors have. Solid company philosophy. Quality roofing repair contractors will have a strong commitment to customer service and will be dedicated to providing top-quality products, repairs and roof replacements. Better Business Bureau (BBB) Rating. Ask to see the company's BBB accreditation. It is probably going to be displayed somewhere on the company website, but if for some reason it's not, any company representative should be able to produce it. Warranties. 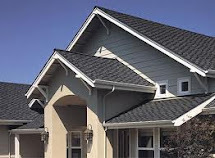 Reputable roofing repair contractors will always offer some kind of warranty on their products and services. Without this, they are not held liable for the work they do. Above All Roofing has put together a list of roofing terms to help make your roofing experience a bit easier to understand! NRCA- The National Roofing Contractors Association. It is a respected national organization of roofing contractors. Quarter sized- Term for the size of hand sealant dabs, about the size of a U.S. 25¢ piece. Roof louvers- Rooftop rectangular shaped roof vents. Also called box vents, mushroom vents, airhawks, or soldier vents. Sawteeth- The exposed section of double thickness on Timberline® Series shingles. Shaped to imitate a wood shake look on the roof. Asphalt plastic cement- Asphalt based sealant material, meeting ASTM D4586 Type I or II. Used to seal and adhere roofing materials. Also called mastic, blackjack, roof tar, or bull. Back-surfacing- Granular material added to a shingle’s back to assist in keeping separate during delivery and storage. Buckling- When a wrinkle or ripple effects shingles or their underlayments. Closed-cut valley- A shingle valley installation method where one roof plane’s shingles completely cover the others. The top layer is cut to match the valley lines. Fasteners- Nails or staples used in securing roofing to the deck. Felt-Organic or paper-based rolled material saturated with asphalt to serve as roofing underlayment. GAF-Cant®- GAFMC can’t strips for deflecting water away from flashing areas. Typically used on low slope roofs. Granules- Crushed rock that is coated with a ceramic coating and fired. Used as top surface on shingles.